A topically applied drug is any medication that is applied to the body’s surface (e.g., skin, eyes) in order to achieve a desired local therapeutic effect. 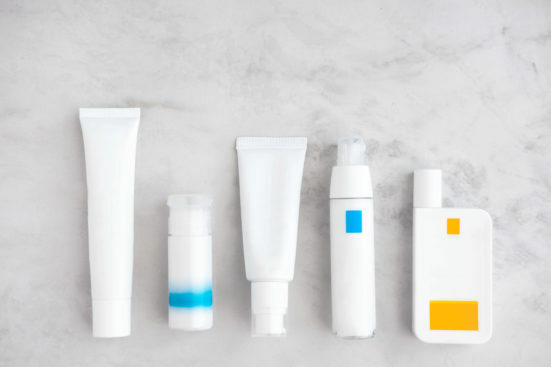 Many drug types fall under the umbrella of topical drugs, including lotions, creams, ointments, gels, foams, patches, and drops, among others. This post will focus on drugs applied directly to the skin and where a local response is desired. Topically applied drugs often follow different requirements for pharmacokinetic (PK) assessment than drugs administered orally or intravenously. For topicals, many required studies are delayed until the final formulation is available and the final formulation strength and dosing regimen have been established in safety and efficacy trials. Typically, drugs are applied locally to the skin because that is the desired site of action. In these cases, systemic absorption, where the drug penetrates beyond the layers of the epidermis to reach the blood stream, is generally not desirable and can cause systemic safety concerns. Human skin is multilayered and acts as a barrier to harmful molecules and microbes; the main layer responsible for preventing skin penetration is the stratum corneum. Historically, it was believed that topically applied drugs had very little systemic absorption due to the barrier function of the skin. While this can be true, it cannot be assumed! Classic examples of topically applied drugs that readily absorb through the skin are corticosteroids, which may lead to blood concentrations that are high enough to cause systemic side effects, such as cortisol suppression. The ability of topically applied drugs to penetrate the various layers of the skin depends on a number of variables, including the physiochemical properties of the drug (e.g., hydrophobicity) and the condition of the skin (e.g., abraded, intact). The properties of drug formulation excipients can also markedly affect the ability of the active drug to penetrate the skin. Penetration enhancers, such as ethanol or propylene glycol, allow other molecules to diffuse more deeply into the underlying skin layers. When the drug is applied to the skin, does it penetrate the skin barrier and result in quantifiable systemic exposure? If yes, what is the extent of systemic exposure to the active ingredient? Addressing these questions allows regulatory agencies to evaluate drug safety and helps inform appropriate labeling and clinical use recommendations, such as the need for further safety assessments, and considerations for dosing in special populations. A common PK trial design for topically applied drugs is the Maximal Usage Trial (or MUsT). MUsTs seek to maximize exposure to the drug in order to understand the full extent of systemic exposure and absorption at a clinically relevant dose, generally in the most severely affected subset of the intended patient population. These trials are important in part because this information may not otherwise be determined in Phase 2 or Phase 3 studies, where the majority of subjects use a moderate dose of the drug. Population pharmacokinetics (“popPK”) may be employed to identify parameters and covariates such as age, disease severity, body surface area of application, and concomitant medications that may have a significant influence on the exposure. Additionally, healthy volunteer studies are rarely informative for PK, since the skin barrier may be very different than the intended patient population, resulting in a very different PK profile. Frequency and duration of dosing: These should be designed to maximize the potential for drug absorption and should be done with the maximum proposed drug strength. Both dosing frequency and duration should be consistent with the proposed labeling and anticipated use. Body Surface Area: As a group, topical drugs can be used over a wide range of body surface areas (BSAs), from very small (e.g., single lesion) to very large (e.g., sunscreen covering > 90% of the skin surface). Because greater BSA coverage can lead to higher systemic absorption, the BSA tested in the MUsT should be based upon the anticipated clinical use of the drug. Bioanalytical Methods: Because of the importance of PK assessments for dosing recommendations and product labeling, validated and sensitive bioanalytical methods are essential for both the active ingredient(s) and key metabolites. The overall goal of the MUsT is to obtain exposure parameters and make conclusions about the extent of systemic absorption. The blood sampling schedule should be designed such that key parameters like Cmax, Tmax, AUC0-last, AUC0-inf, and AUCtau (if the study design administers repeated doses) can be derived. However, topically applied drugs frequently have slow and multiple absorption phases, and elimination is often limited by the absorption rate. These factors can complicate PK analysis. The study population may dictate sampling adjustments. For example, pediatric studies may necessitate reduced sampling schedules. In these cases, sampling schedules should be designed based on the expected concentration versus time profile of the drug. Finally, sampling following multiple dosing is generally required, although, if a condition improves with treatment, sampling should be collected when the skin barrier function is most relevant. Self-application: Subjects may assume that “more” product equates to faster healing, and topically applied drugs frequently have loose terminology for dosing (e.g., “pea-sized”). Subject training and observation may be required for MUsT studies in order to control variability in the quantity of drug being used. Occlusion: The application site can impact how much drug is absorbed. Occlusion, or covering the drug once it has been applied, can enhance penetration and systemic exposure. Occlusion can be an intentional aspect of drug administration (e.g., an occlusive patch or using a bandage with an ointment) or can occur inadvertently by clothes, hair, or shoes. It is important to know if occlusion increases systemic absorption, as this can impact wording in the product label. Skin Defects: The barrier function of the skin can be negatively impacted by skin abrasions/lesions, soaps and antiseptics, and removal of natural skin oils, which can lead to increased drug absorption. If skin barrier defects are likely during typical use of the drug, then it is important to account for this as part of the MUsT study design. PK studies are required for topical drugs, even when systemic exposure is believed to be negligible or nonquantifiable. The nature of topical drugs can make these studies more complex to design and analyze. When designing these trials, consider the properties of the drug components and the anticipated use conditions. Clinical pharmacology input is essential to optimize MUsT study designs, optimize pharmacokinetic sampling, and to help assess potential safety risks based on systemic exposure. A well thought out and timely clinical pharmacology development plan is essential for any new drug product. Reach out to our team of experienced clinical pharmacologists and pharmacokineticists to discuss more about MUsT strategy and design, PK sampling schedules, noncompartmental PK analysis, and population PK. 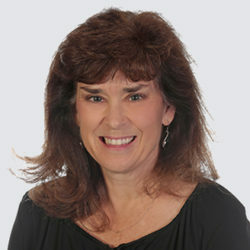 Dr. Hussey has extensive experience in clinical development, clinical pharmacology, and pharmacokinetics across all phases of development.